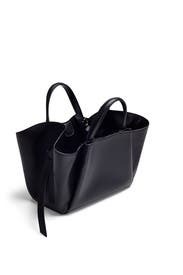 A cool-girl classic, this GIAQUINTO tote features modern folds and a spacious interior. 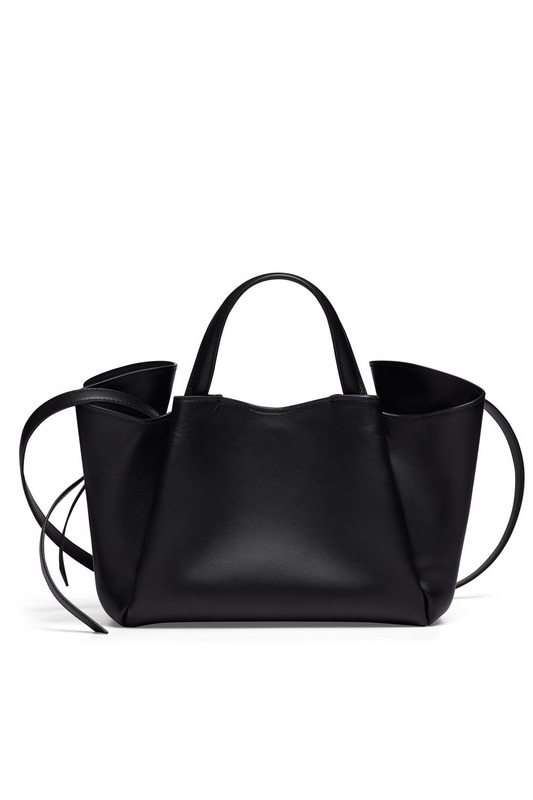 Black smooth leather sculptural tote with double top handles and adjustable crossbody strap. Magnetic top closure, internal zipper pocket, and dual interior compartments. 12.6"L x 7.5"H x 5"D.
I was expecting this to be a tote large enough to fit a notebook or a laptop. It's actually super small. Beautiful bag just not what I was looking for. 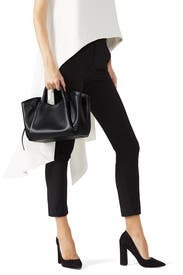 I liked this bag. Very stylish design, however, it was much smaller than I thought it would be. Could not fit much in it.